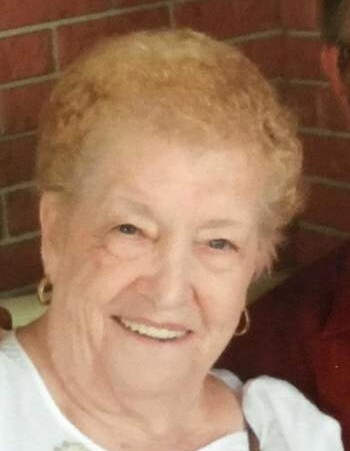 Obituary for Romayne V. (Ritchey) Dobrowolsky | Sorge Funeral Home Inc.
Romayne V. (Ritchey) Dobrowolsky, 91, Portage, died Monday at her residence. She was born in Blue Knob, daughter of the late Merle and Rhoda (Stombaugh) Ritchey. She married William F. Dobrowolsky in 1949, and he passed away in 2004 after 55 years of marriage. Surviving are a daughter, Patricia Leap of Portage; five sons: William D. (Vickie) and Thomas W. (Eunice), both of Portage, David (Debbie) of Blue Knob, Kevin (Robin) of Indiana and Daryl of Ebensburg; 19 grandchildren; 33 great-grandchildren; four great-great-grandchildren; and a son-in-law, Dan Hershberger. She was preceded in death by two children: infant Twila Jane and Sandra Hershberger; three grandchildren: Jeremiah, Jessie and Ethan; two brothers: Alton and Blair; and a daughter-in- law, Eileen. In 1994, after 28 years of service, Romayne retired as an aide from the Ebensburg Center, where she cared deeply for her residents. Her interests were many, yet her greatest joy was raising, loving, guiding and encouraging her children, grandchildren, great-grandchildren and great-great-grandchildren. Romayne found comfort and peace in Psalm 27 and the music of the Gaithers. She exhibited an unwavering faith in Christ for all to see. At the request of the deceased, all services will be private. Arrangements are by Sorge Funeral Home Inc., Hollidaysburg.